A long-awaited hearing on the Inland region's largest unabated plume of perchlorate pollution in groundwater is scheduled for March 23, officials said Thursday. The hearing is aimed at assigning blame and cleanup of the plume of the rocket-fuel chemical, which pollutes a key drinking-water basin and stretches several miles below Rialto and Colton. It has shut down more than a dozen drinking-water wells that served some 150,000 residents in the two cities. "I hope this will be a really big first step to cleaning up the entire perchlorate contamination. The polluters have to start going to work," said Davin Diaz, an activist with the Center for Community Action and Environmental Justice in San Bernardino. Perchlorate, also used in road flares, fireworks and similar products, has been detected in the water supplies of Corona, Redlands, Fontana, Riverside and other Inland communities. The chemical can interfere with the thyroid gland's ability to make hormones that guide brain and nerve development in fetuses, babies and young children. The state has proposed a drinking water standard of 6 parts per billion. 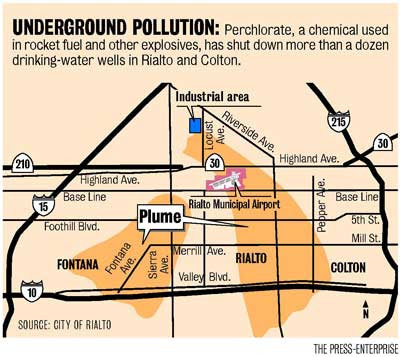 In the Rialto plume, tests have revealed that groundwater below the suspected source, a 160-acre industrial site in the northern end of the city, contains concentrations of perchlorate at 10,000 parts per billion. 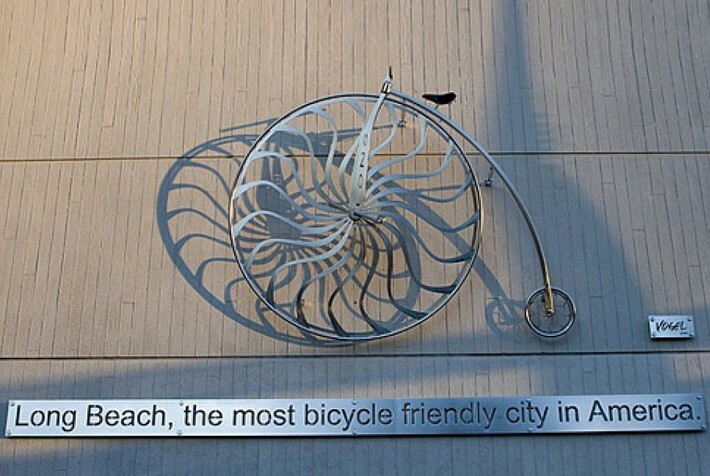 The March hearing will act much like a trial. Regional water-quality investigators will present testimony from witnesses and evidence that workers at Goodrich Corp., a subsidiary of Black & Decker, and a local fireworks company, Pyrospectacular, dumped perchlorate on the ground or burned it in pits at the industrial site, where the chemical eventually seeped into the groundwater. The three companies will have an opportunity to respond. Officials at Emhart, the subsidiary of Black & Decker, say that the company is the corporate successor of West Coast Loading -- which made perchlorate-containing flares and ground-burst simulators for the Army at the site from 1952 until 1957, said the company's attorney, Bob Wyatt.